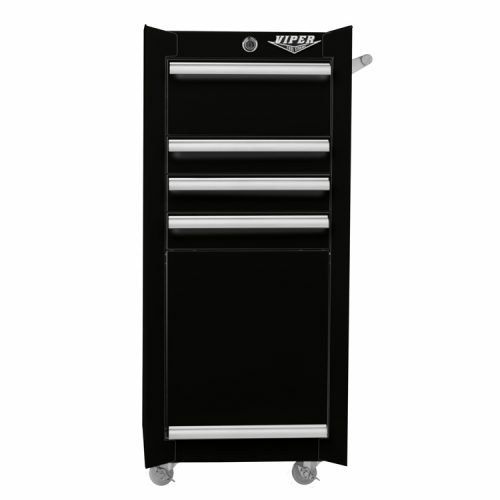 THIS 18″ 2-DRAWER MINI TOOL CHEST IS BUILT TOUGH WITH AN 18G STEEL FRAME TO HOLD ITS OWN IN A GARAGE OR SHOP, BUT ITS GLEAMING FINISH WON’T LOOK OUT OF PLACE INSIDE THE HOUSE EITHER. THERE’S PLENTY OF SPACE WITH A STORAGE CAPACITY OF 1,075 CUBIC INCHES. 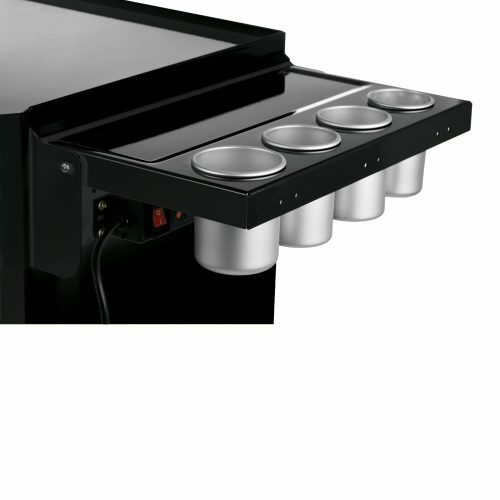 THE DRAWERS HAVE 50-POUND RATED FULL-EXTENSION BALL-BEARING SLIDES AND EXTRUDED ALUMINUM DRAWER PULLS FOR EFFORTLESS ACCESS. STAINLESS STEEL HANDLES ARE FEATURED ON BOTH SIDES FOR EASY PORTABILITY AND THE CAM LOCK WILL ENSURE YOUR STUFF STAYS SECURED WHILE YOU’RE AWAY. BACKED BY A LIMITED LIFETIME WARRANTY. better then any other tool box. durable and surprisingly not that heavy with tools in it.